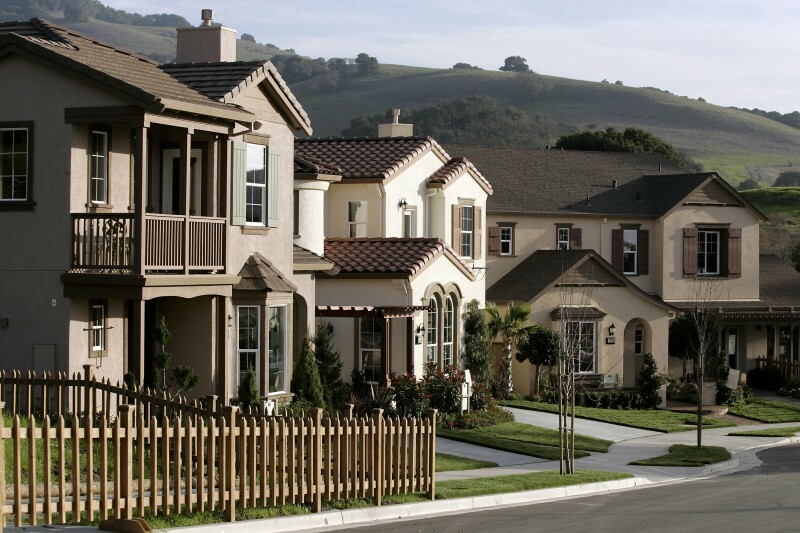 Browse homes with breathtaking views through floor-to-ceiling windows and walls of glass. 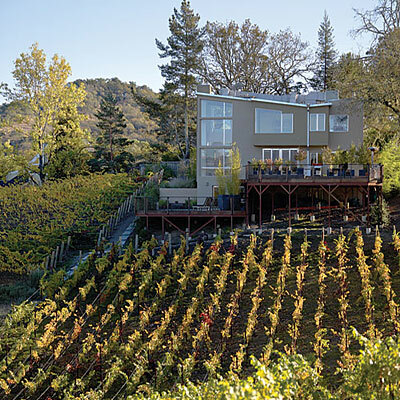 This Sonoma County home capitalizes on its vineyard views. Three levels of windows give every room a gorgeous view—even the master closet. 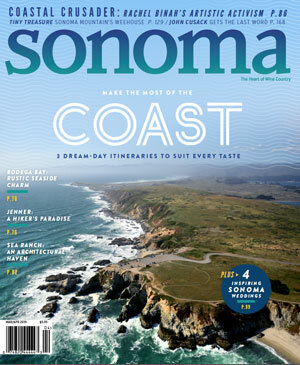 A huge dining bay gives dinnertime guests an unobstructed view of the Sonoma coast. 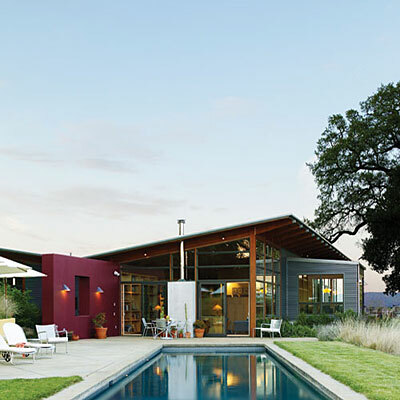 The vineyard views of this Sonoma County home are enhanced by a wall of windows and four sets of French doors. Low-profile storage is provided underneath the windows so to not obstruct the view. 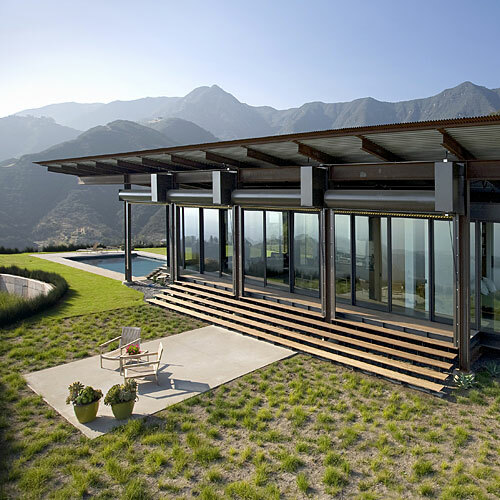 Gorgeous views of the Santa Ynez Mountains are provided by this glass-walled Montecito home. As wildfires often ravage this part of the Santa Barbara coast, the architects chose fire-resistant materials (steel, concrete) for the construction. Each floor of this Santa Monica home offers a great view. Open up the master bedroom’s awning windows or slide open the ground-floor doors for even more exposure. 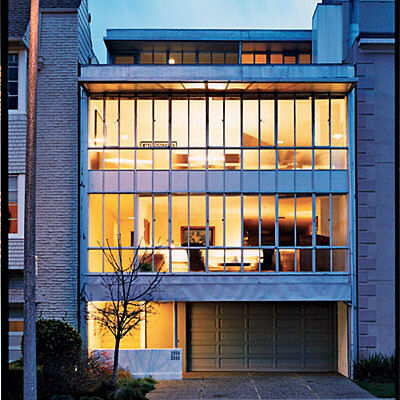 Designed by Richard Neutra, one of America’s foremost modern architects, this duplex in San Francisco glows from its floor-to-ceiling steel-framed windows. 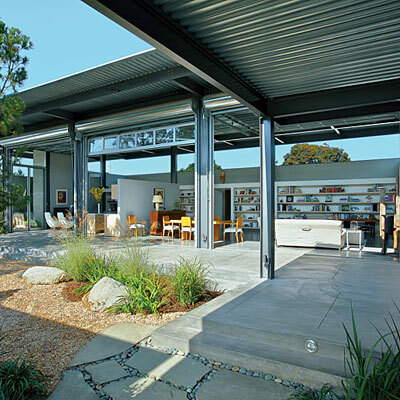 Although it looks like this house has no walls or windows, it’s due to the garage-like doors of glass and steel that can be rolled up to embrace the outdoors. 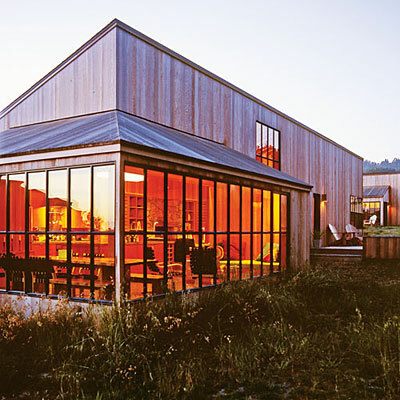 A band of clerestory windows runs along the northern, neighbor-facing side of the house to provide privacy. 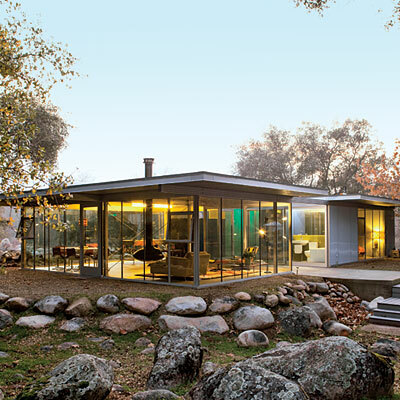 Being in the California countryside, this family wanted to make the most of their rural setting. Every room in the house gives a different view of the outdoors. Walls facing the valley are made almost entirely of glass, and from the inside it almost feels like you are sitting by the pool. 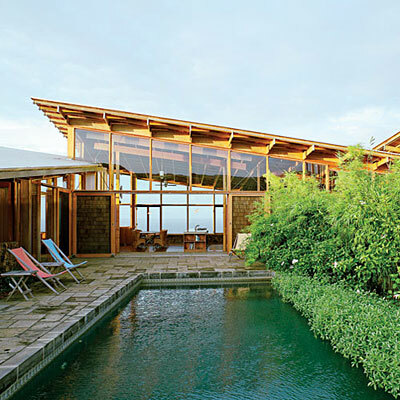 With tall window walls that provide panoramic views, the airy, almost transparent home in Hawaii sits atop a hill overlooking the Pacific Ocean. Sustainable features, native plants, and plenty of glass walls and panoramic windows up the ante on a seamless integration of indoors and out at this home in California. 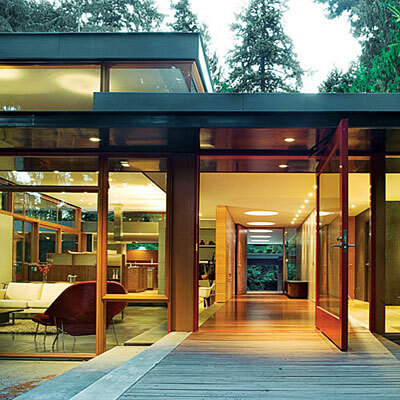 Seemingly made of just glass and wood, this home melts away into the surrounding trees. Ceiling height and daylight exposure is maximized in the main living spaces with a band of clerestory windows. 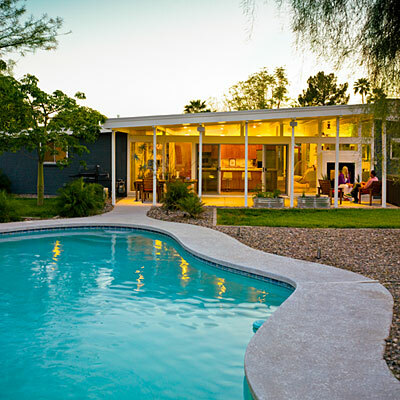 A wall of windows open up this home’s kitchen, dining room, and living room to their pool, keeping with the fun 1960s vibe. 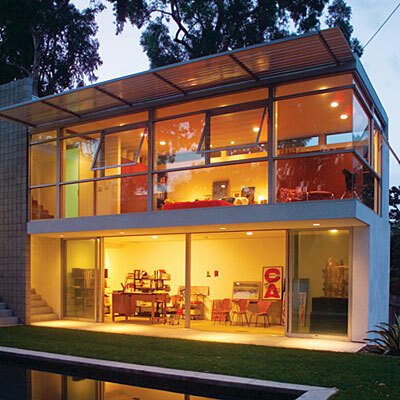 This small home embraces the outdoors with eye-popping glass windows and modern, streamlined design.